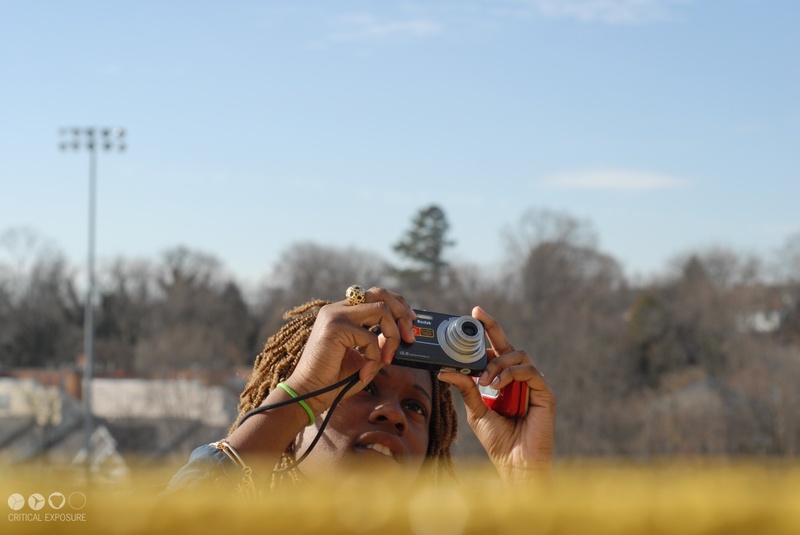 Editor's Note: Student from Ballou Senior High School taking photos as part of a Critical Exposure program. 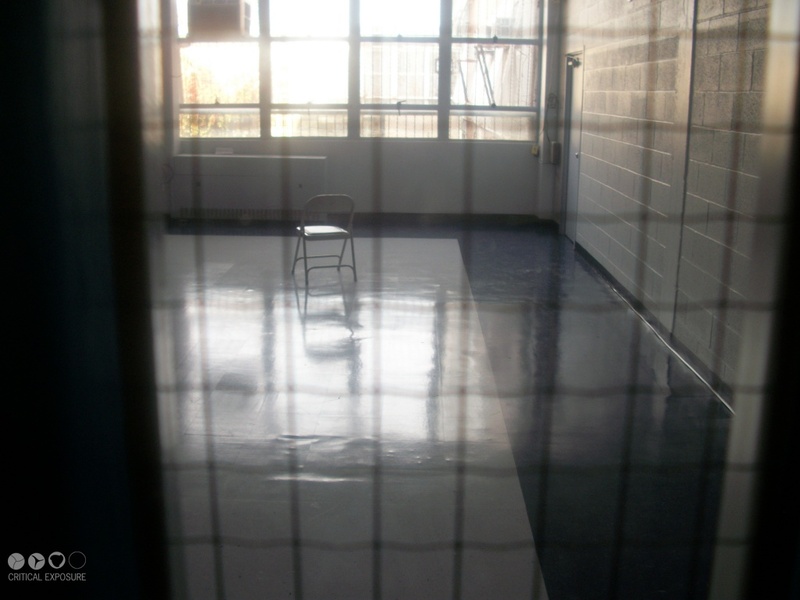 I took this picture to show how they fixed our gym up for all the kids in Ballou. 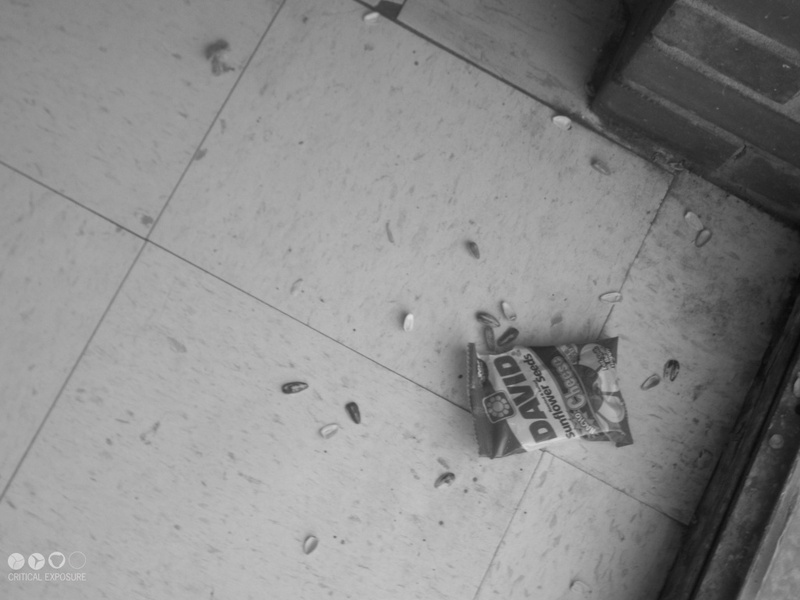 Why, David, did you eat these sunflower seeds and put them on the floor? Man, you could have picked them up off the floor and put them in the trash. I am upset about this. Being a Ballou student is hard. Everyday the administrators push us to go to class on time and do our work. Some days we have fires or maybe a fight here or there. When we have fires, everyone has to evacuate the building and majority of the students walk home. I still love being a Ballou Knight. 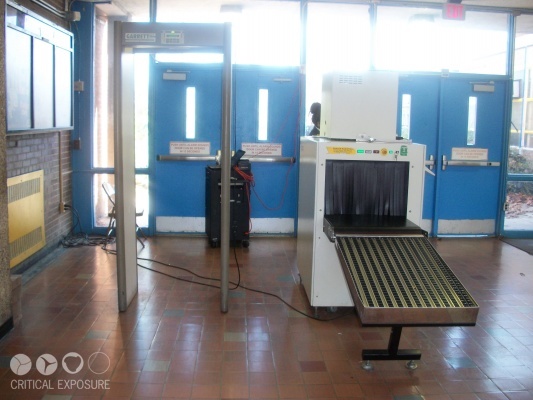 I took this photo to show how Ballou is restarting its community [with a new library]. The relationship between a teacher and her student is a bond that can be made and not broken. Ballou is a good school where you actually have teachers that care for you. Everything that’s on the news [about Ballou] may be bad or something like that, but if you actually take your time and come to Ballou and see it, you see it’s not a bad school. What does it mean to be a Ballou student? To be a knight! To have integrity. Living up to your name. That’s a Ballou knight. 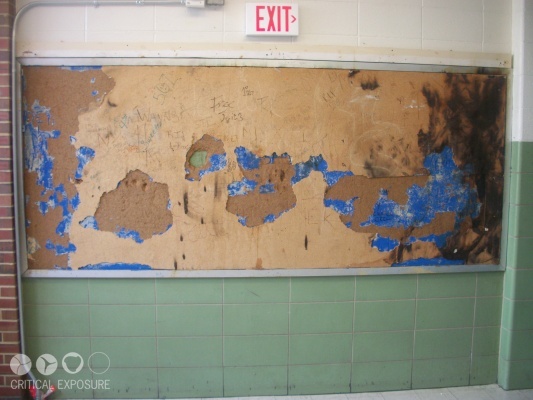 This photo depicts a broken clock in a classroom. It shows how time is lost and how simple things are broken, [and how] a simple thing can affect us in such a [big] way. This photo shows that with this program students can now start benefiting from the extra-curriculars [the New Ballou] has to offer. They have PSAT prep classes, cooking classes. 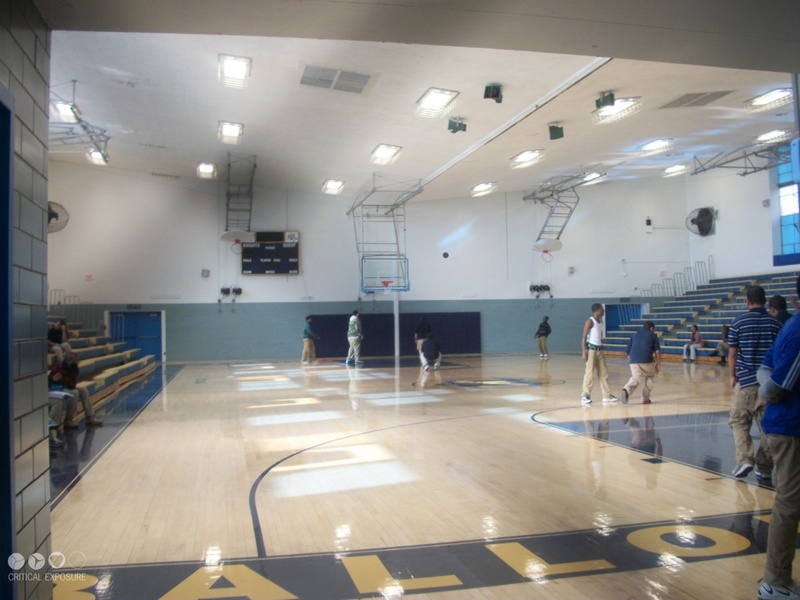 Students can now do things that [the old Ballou] didn't have. This photo shows that Antonio likes to sing. The mural is singing out notes. 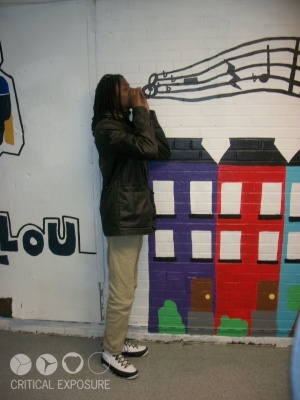 The arts at Ballou are good and they let kids be creative. 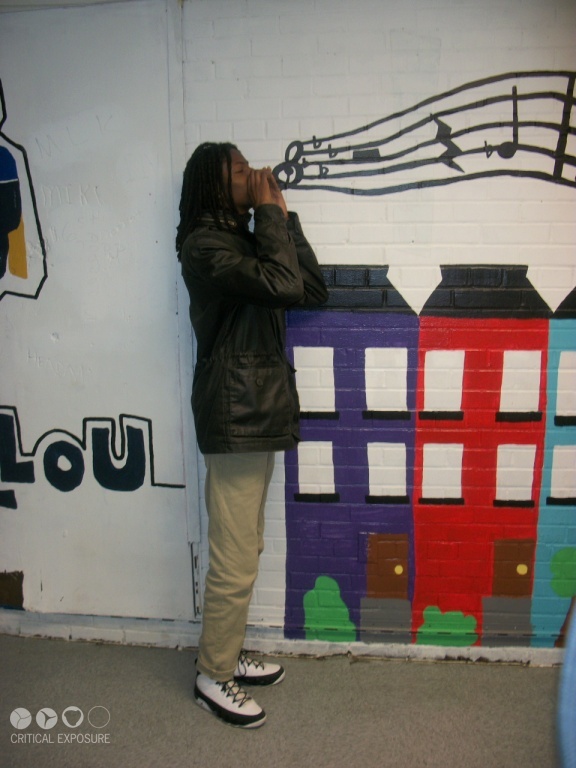 The mural on the wall creates an artistic setting [that we don't have] in other areas. This photo shows a broken locker filled with dirt, inside the hallway at Ballou High School. It's surrounded by clean, fixed lockers. 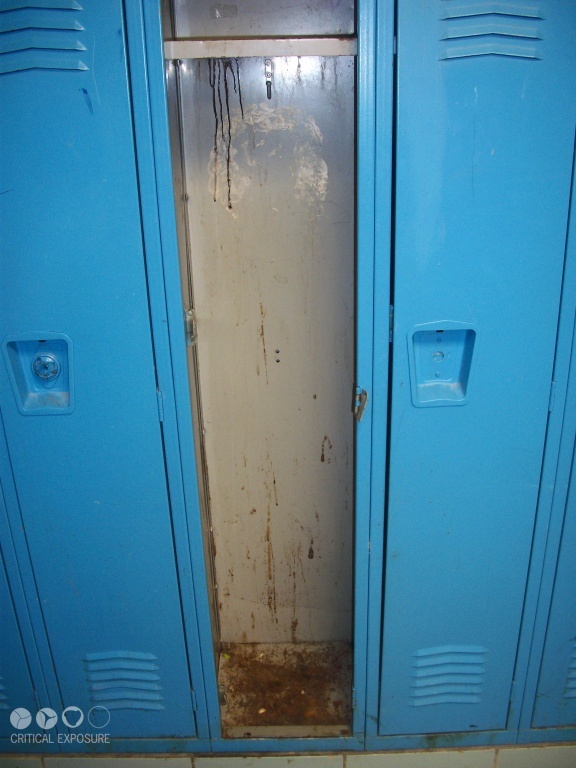 The condition of this locker is a disgrace to the svhool; students should not have to come to school to such squalor conditions. There are simply not enough lockers for all students, forcing kids to carry around heavy books which could eventually cause back problems, and future health issues. I [propose] the locker be fixed to solve all these risks. There are two kids, one has a bottle of water and the other [is] trying to get some water from a broken water fountain. This photo shows that the school water fountains don't work and that [students] have to bring bottles of water just to get something to drink. Editor's Note: Herman took this photograph to show what he and his peers see when they walk in their school's entrance.